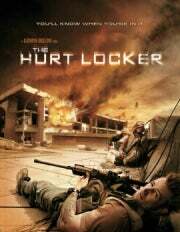 "The Hurt Locker" grossed $49 million worldwide. According to TorrentFreak, that huge number makes this the largest BitTorrent lawsuit in history. The second-largest BitTorrent lawsuit was against 23,322 BitTorrent users who downloaded "The Expendables." Voltage Pictures is working with the US Copyright Group, which is a business registered by the law firm Dunlap, Grubb & Weaver. The US Copyright Group uses a "pay or else" anti-piracy scheme: it uses custom software to monitor BitTorrent downloads, records IP addresses, and then files suits in order to get ISPs to give up the users' identities. The group then sends out letters to the users, threatening to sue unless they pay a settlement of between $1,000 and $3,000. The group has been criticized and even sued for engaging in fraud and extortion. According to the lawsuit against the group, the US Copyright Group has no intention of suing users -- it's just trying to scare people into coughing up money. TorrentFreak reports that Voltage Pictures is in the process of obtaining users' personal info from ISP providers. Most of the defendants are subscribers of Comcast (10,532), followed by Verizon (5,239), Charter (2,699), and Time Warner (1,750). The ISP providers have mostly agreed to look up about 100 to 150 IP address per month for the lawsuit. In other words, it'll probably be years before the ISPs hand over the defendants' info. TorrentFreak wonders how long an ISP is allowed to store personal info, and whether this raises privacy questions. As the ISPs reveal personal information to the US Copyright Group, defendants will likely receive threatening letters and settlement options. Judge Beryl Howell, a former RIAA lobbyist, is handling "The Hurt Locker case." Howell also previously held the position of executive managing director and general counsel at Stroz Friedberg, which is a consulting firm that specializes in managing digital crimes -- arguably a conflict of interest. It's no real surprise that Voltage Pictures is trying to recoup alleged piracy losses associated with "The Hurt Locker." Despite the film's being critically acclaimed and extremely popular, it only managed to gross $49 million worldwide. Still, I'm not sure this is the best way to go about recouping said losses -- after all, the US Copyright Group isn't bringing any real proof that the all of the defendants actually downloaded the movie (sketchy IP monitoring notwithstanding). Many of the defendants have already claimed innocence, but Howell dismissed these motions (to dismiss, quash, and for protective orders) in a broad sweep last week. Also, the whole "scaring up a settlement" just seems shady.